Bedtime stories are a great way to be able to sneak in a little extra quality time with children while simultaneously getting them relaxed enough to fall asleep. For many families it’s a key part of their regular bedtime routine, and one that can’t be missed. What can be better than snuggling up with your child at bedtime and reading them a comforting story? However, some children do have issues with bedtime and can be resistant to any efforts to get them settled down for the night. Here are 10 kid’s books that can help with those bedtime woes. 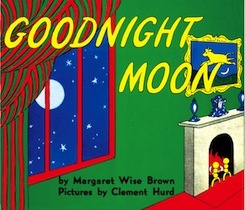 Goodnight Moon – This popular book by Margaret Wise Brown is a favorite for kids of all ages. The lyrical way the little bunny says goodnight to everything in the room is soothing to children and is almost like counting sheep. Goodnight Moon is a bedtime classic for kids, and one that is sure to be a favorite for generations. Sleep Tight Ginger Kitten – Young children will be enthralled as you read them the tale of the Ginger Kitten looking for a place to take a nap. This book by Adele Geras leads the reader on a delightful journey as each potential napping place is rejected until the kitten finally finds the perfect spot, all the while getting kids in the mood for sleep. Goodnight Sweet Butterflies – For something a little more unusual, Goodnight Sweet Butterflies has 3D butterflies that disappear as the pages are turned. The glittery butterflies help kids learn their colors while they’re soothed into slumber. Bedtime Bugs – This pop-up book is an interactive way to get kids into the bedtime routine. Each page goes through another step towards sleep as the Bedtime Bugs get ready to snuggle in for the night. Time for Bed – Children will feel comforted as each different animal is tenderly tucked in for the night by their mothers. Time for Bed is filled with lovely pictures and colorful rhymes that will soothe even the most stubborn child into nodding off. Goodnight, Goodnight Construction Sight – A great bedtime story for kids who like trucks and equipment, this book by Sherri Duskey Rinker says goodnight to all the different hard working items on the construction site. The rhyming prose and colorful pictures will get rough and tumble kids ready to hit their pillows. The Goodnight Train – Kids will love to get on board the Goodnight Train to dreamland by June Sobel. The magical illustrations and soothing words have children chug-chugging along the fantasy tracks to their own sleepy town. Just So Stories – These Rudyard Kipling classics are perfect for older children who no longer want to be read baby books. The Just So Stories are fanciful tales of far off places that will entertain kids and send them off to sweet dreams. A Wrinkle in Time series – Madeleine L’Engle is the author of this science fiction series of books that will capture your child’s imagination. Promising to read a few more chapters each night will get the most willful child looking forward to bedtime. Little House on the Prairie series – This classic series written by Laura Ingalls Wilder have been favorites of children for generations. Take your kids back in time as they learn about life as a pioneer child while being gently lulled into a peaceful sleep. Choose carefully when selecting good bedtime stories for kids. Stay away from scary stories or ones with too much excitement that could have the opposite effect of what you’re trying to accomplish. Also, make sure what you’re reading is age-appropriate so that kids don’t get frustrated with your choice. Get children involved in selecting their favorites and be sure to update their options. After the little demons are finally tucked in, Bedtime Stories for Children You Hate and Go to Sleep are good choices for parents (not sitters) to soothe their own frustrations, though not appropriate to read aloud to kids. « How to be Grateful During the Holidays — and All Year Long!